Exhibition of oil paintings, watercolors and acrylics at the Chapelle Sainte Anne at Saint Pair sur Mer during the month of August. This is an opportunity to exhibit my paintings and my marine paintings of Granville area in the city where I grew up. Do not miss the opportunity to meet with me to discuss painting! 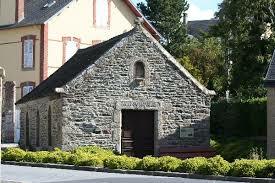 You will find all information on the site of the city of Saint Pair sur Mer. Location : Sainte Anne church, 50380 Saint Pair sur Mer, near Granville.